Credit card debt is one of the most common financial dead ends that people find themselves in across the world and across most other demographics. The most obvious trouble with credit card debt is the enormous interest rate involved. If one needs proof of the power of compounding, one need look no further than the monthly statements of a maxed out card. A bigger trouble, however, is the illusion of availability of funds it creates. Multiple cards only make it easier to spend really, really beyond your means. From there on, it spirals into a financial black hole. Fortunately, the sheer scale of this phenomenon on a global scale has caused solutions and wisdom to emerge. 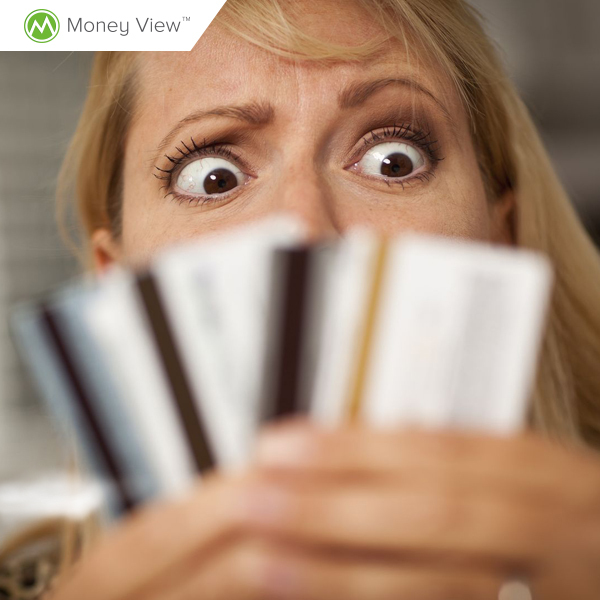 Here are a few things that can help you tackle credit card debt. This is a regimen comprised of a monthly budget, a review of the debt landscape, prioritizing, automating and restructuring payment schedules, focused and accelerated savings for the purpose of debt repayment, and a realistic timeline. Without this, you are floundering in a turbid sea with invisible compounding monsters all around you. Take some time out and put your debts and repayments on paper along with your income and expenses, looking for areas that you can reduce expenses or increase income. Studying interest rates and extrapolated scenarios can be scary and liberating at the same time. This approach prioritizes your debts by rate of interest, asking you to make minimum payment for all but your highest interest debt, and throw all you got at this big fellow. This can also be done by taking on the debt with the largest total amount due first. Once you clear that debt, you throw all you got, plus what you were paying on the largest debt at the next debt on the list. It requires focus and a little discipline but works. Put all other desires and luxuries aside until you have ploughed your way down through to the bottom of the list. You will thank me later. The snowflake method is the practice of making multiple small payments as circumstances permit and evolve. One easy way of doing this is to round off the balances in your accounts. If you have 22,362 bucks in your account, you make a payment of 362 (or 2362 if practical) towards your card or whichever debt is on top of your list. Consider all small and unexpected amounts of income or money as snowflakes. Loose change and small notes in pockets, bags, wallets, money from recycling bottles and old newspapers, small dividends, interest received on bank accounts, payments you might receive from freelance work, all of these look insignificant, yet add up to quite a bit. Getting all your debts under one affordable umbrella can be a sensible way to save on interest and guard against the power of compounding. If you have a home loan or other low interest loan, explore whether they will let you top it up with the amount you need to pay off your credit card debt. A 9.5-percent long-term loan is much gentler than the 36-48 percent that you might end up paying for your credit card, for example. You could also take a personal loan from an institution or family/friend to cover all your debt and clear them off altogether. Chances are you will be able to do this at much lower interest than your credit cards. Most card issuers let you transfer your debt from another card. They pay off the original lender and give you some breathing space without charging interest. This approach is useful only if you are going to be able to clear off all or most of the amount due within that zero interest window. If not, the story doesn’t change at all. It is neither uncommon nor impossible to cite insolvency and negotiate a discounted amount to settle your credit card debt. Some issuers will agree to freeze and convert your debt into a lower interest EMI scheme. These routes are best avoided, since the card issuer marks you as a defaulter and this information is shared with credit rating agencies and will adversely impact your CIBIL or credit score. Clearing your dues down to the last penny, honoring your original terms of agreement, impacts this score positively and is a wiser choice to make. Credit card debt need not cripple you. A pragmatic, disciplined and sustained approach can help you tackle it without stressing out. You will experience an unparalleled sense of freedom and self-confidence once you manage to clear off your credit card debt. Use the strategies shared here and get out of the black hole of credit card debt. Subhorup Dasgupta is a Hyderabad-based blogger and artist. He writes about responsible living at his blog, Subho’s Jejune Diet. Liked what you read? Subscribe to our newsletter now.